The following is a blog written by Emily N. Donahoe, Legal Intern, from George Washington University Law School Gulf Recovery Network. The first blog in this series can be found here. On December 11, 2018, the Trump Administration published a proposed revision to the 2015 "Waters of the U.S." (WOTUS) Rule, which many are calling the "Dirty Water Rule". The proposed revision sharply reduces Clean Water Act (CWA) authority over rain-dependent (ephemeral) waters and isolated waters separated by man-made or natural barriers. The CWA's objective is "to restore and maintain the chemical, physical and biological integrity of the Nation's waters." 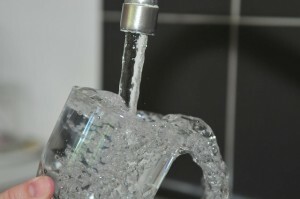 By stripping protections from rain-dependent waters and isolated waters, the Dirty Water Rule is jeopardizing this core purpose of the CWA.Published in 2009, an EPA report documented that over 117 million Americans depend on ephemeral, intermittent, and headwater systems for safe drinking water. In the Gulf States alone, over 18 million Americans depend on these water systems for safe drinking water. By reducing the federal protections on these smaller, upstream water systems, millions of Americans could be exposed to increased pollution stemming from highly-polluting activities like agriculture, stormwater runoff, and oil production. In the Gulf states, over twenty-thousand miles of stream systems could become federally unregulated. Isolated wetlands are prevalent across the United States, especially in the Midwest, Southwest, and arid regions. The Dirty Water Rule proposes that wetlands separated by man-made barriers or natural barriers and not touching other federally regulated waters would be federally unregulated. This means that both naturally isolated wetlands, like prairie pothole wetlands, and wetlands completely separated by structures like levees, could become federally unregulated. Many migratory birds native to the Gulf area rely on these pothole wetlands for nesting and are crucial contributors to the ecosystem. Reducing federal regulations in these areas could expose the waterways and waterfowl to increased pollutants from agricultural production and energy production. If this proposal moves forward, that means that these critical ecosystems and waterways are left to be regulated by individual states, leaving the fate of these waters uncertain.